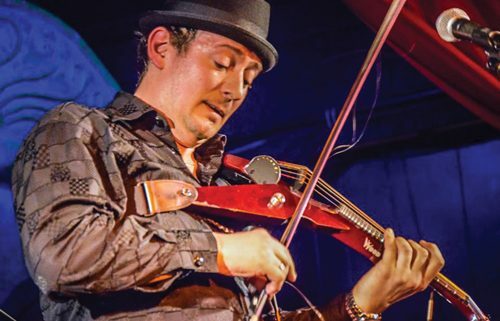 Joe Deninzon, born in St. Petersburg, Russia, has been lauded as “The Jimi Hendrix of the Violin” owing to his innovative style on the electric 7-string violin and combination of jazz, rock and Gypsy influences. He can be heard on more than a hundred CDs and jingles, has performed with Bruce Springsteen, Smokey Robinson and Les Paul and has served as solo violinist with the New York City Ballet. He is performing with one of the most sought-after jazz trios in the Rocky Mountains: Mark Diamond (bass), Dru Heller (drums) and Justin Allison (guitar).